There are two beauty products I can’t get enough of: primers and highlighters. Until now, I’ve been combining my loves by mixing a blob of liquid highlighter into my primer with the goal of creating a lightweight, luminous veil that evens out my skin while giving me a radiant glow. Unfortunately, getting that ratio right is nigh impossible—I’ve ended up glittering like a greasy disco ball more mornings than not—and I’ve resolved myself to the fact that my dream skin product was not to be. Until now. 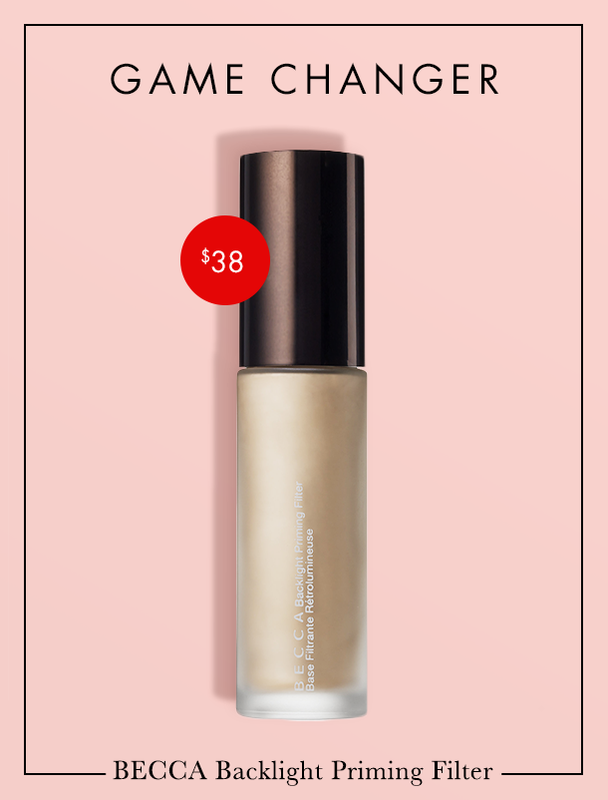 Meet BECCA Backlight Priming Filter ($38, Sephora) which is the shimmery, skin perfecting product you’ve been waiting for. It’s lightweight, with a subtle golden pearl shimmer that brightens and luminizes every single skin tone. I forgot that I took this photo of myself in the bathroom today. Highlight looking 💯 + excellent use of flannel. This is yours truly wearing nothing but this primer and some subtle highlight on my cheekbones. My skin doesn’t usually glow like a pearl, so you can see how incredible Backlight really is. Powder highlight also doesn’t usually last from 8am to 5pm without getting slightly cakey on my skin, which again is testament to the amazing powers of this primer. Another thing I love about Backlight is how well it works on all skin types—and I know this firsthand, because I am rocking all of them right now. I have retinol-induced dryness on my cheeks and along my jawline. I have oiliness on my forehead. I am also acne-prone all over, hence the need for the retinol in the first place. This primer doesn’t settle into the dry patches and make them look worse, nor does it make my skin oilier (or just look it, which is something I hate). And because it’s water-based, it does not break me out. Backlight is an across-the-board score. So if you want to seriously step up your skin’s brilliance and filter your skin IRL, this is the primer for you. Shine on, you crazy diamonds.